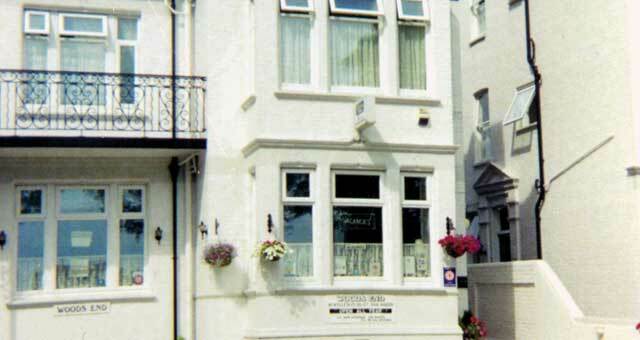 Woods End01493 842229work Guest HouseWoods End in Great Yarmouth is a fine Victorian Town House converted into a private guesthouse. We are delighted to welcome you to our homely, friendly atmosphere offering all that is required for an enjoyable holiday. We are set in one of the best parts of town, close to the beach, shops, shows and overlooking Wellesley Park. We have a range of rooms available, including a ground floor double. If you particularly wish to book the ground floor double, please telephone us. All bedrooms are tastefully fully decorated with co-ordinating bed linen and fully en suite with hospitality trays. Some rooms look out over Wellesley Recreation Ground towards the sea. Woods Ends is fully licensed and has a comfortable residents lounge bar serving drinks and snacks, perfect for a pre-dinner drink, an enjoyable evening in with friends and a nightcap before bed. 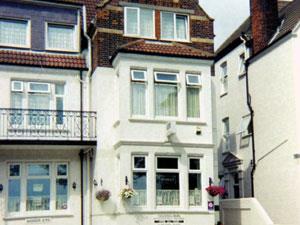 Woods End in Great Yarmouth is a fine Victorian Town House converted into a private guesthouse. Breakfast is served daily in the ground floor dining room, with full table service. All food is home cooked and freshly made to your order from our wide and varied breakfast menu, including vegetarian options and choices for those with special diets. Guide dogs accepted. . Golf and horse riding approx one and half miles away, gym and leisure, swimming pool on seafront approx quarter mile. Children welcome from any age. The region is easily accessible by road from all parts of the UK. Major Trunk roads into Norfolk are the M11, A11, A12 and the A14 from London and the South-east, while the A47 and the A14 serve the Midlands and the North. On approaching Great Yarmouth follow the signs for SEA FRONT. With Sainsburys on your left, carry on through traffic Lights, Wellesley Road is the next on the left.